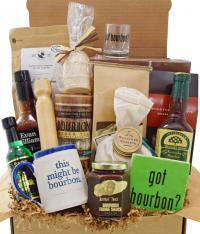 A gift for the bourbon connoisseur! Kentucky is home to the world's finest bourbons and we’ve selected the most delicious bourbon flavored foods. Enjoy Kentucky bourbon in its many forms for breakfast, lunch, dinner and dessert!